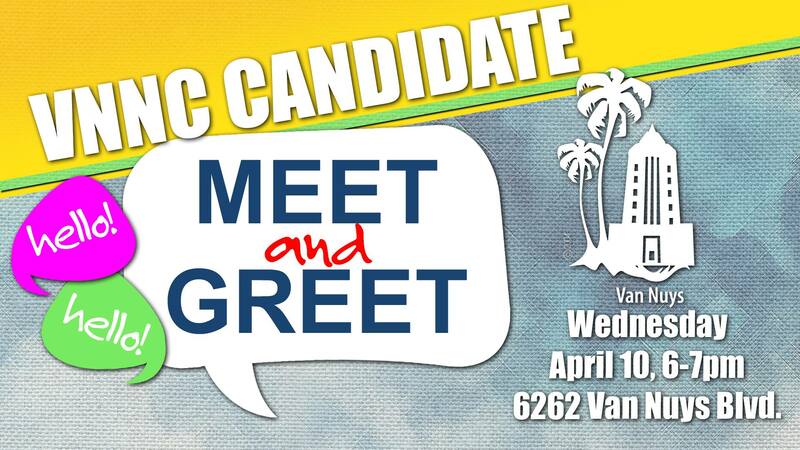 Join us April 10, 6pm, an hour before our next meeting to meet the Candidates for Van Nuys Neighborhood Council. Elected candidates will represent you in advising City Council, Departments and other elected representatives, so get to know them! Refreshments will be served.